Fall is once again upon us in the Northeast, and it is now time for comforting stews and roast. 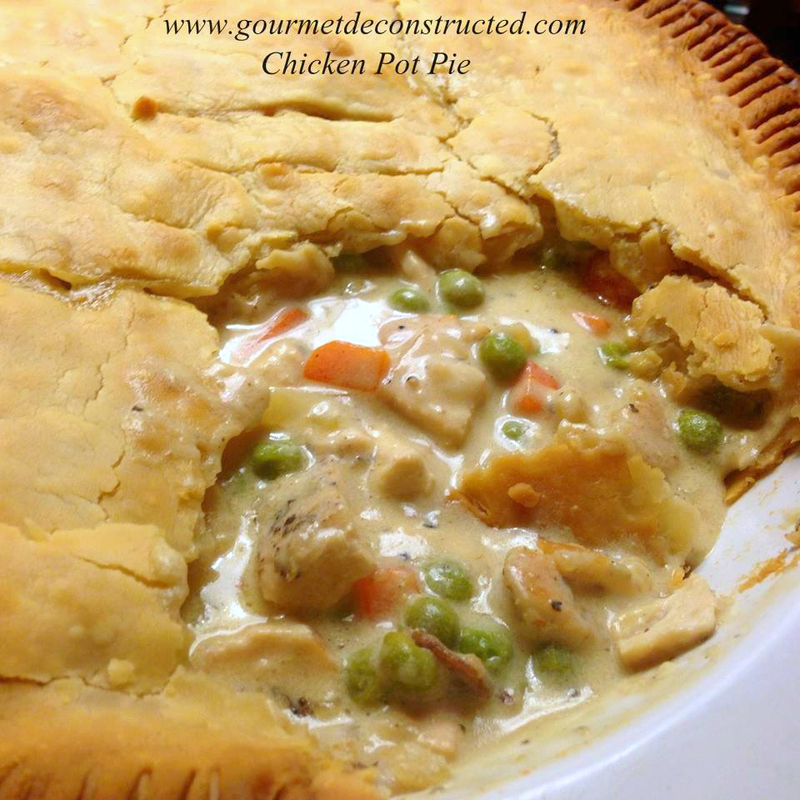 I’m gonna start the season off with one of my favorite recipes when it gets a little chilly outside, Chicken Pot Pie! In a saucepan, combine chicken, carrots, peas, and celery. Add water to cover and boil for 10-15 minutes until chicken is cooked through. Remove from heat, drain and set aside. *Note: If you are using leftover cooked chicken or turkey, you will only need to boil the vegetables per the bag instructions. In the saucepan over medium heat, cook onions in butter until soft and translucent. Stir in flour, salt, pepper, and celery seed. Slowly stir in chicken broth and cream. Simmer over medium-low heat until thick, taste and adjust seasoning as needed. Remove from heat and set aside. Divide the filling equally among 4 ovenproof bowls. Divide the dough into quarters and roll each piece into an 8-inch circle. Brush the outside edges of each bowl with the egg wash, then place the dough on top. Trim the circle to 1/2-inch larger than the top of the bowl. Crimp the dough to fold over the side, pressing it to make it stick. Brush the dough with egg wash and make a few slits in the top. Sprinkle with sea salt, Place on a baking sheet and bake for 1 hour, or until the top is golden brown and the filling is bubbling hot. Allow to cool for a few minutes before serving (be careful the filling will be very hot). Bon Appetit! Posted on October 11, 2016, in Poultry and tagged carrots, chicken, comfort food, homemade, pastry, peas, pot pie. Bookmark the permalink. 2 Comments. Another winter winner Justice. Great looking pie.